Sedans are losing out to crossovers and SUVs in sales, in part because many carbuyers seem to think a high-riding utility vehicle is cooler than a traditional four-door. 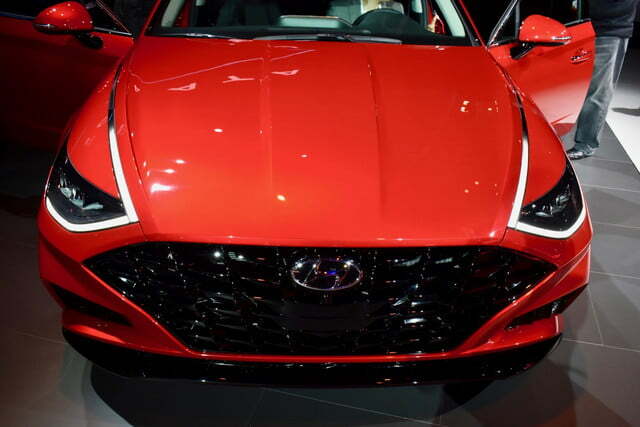 Hyundai is setting out to prove them wrong with the 2020 Sonata, which hopes to win back buyers with a sleek new look. 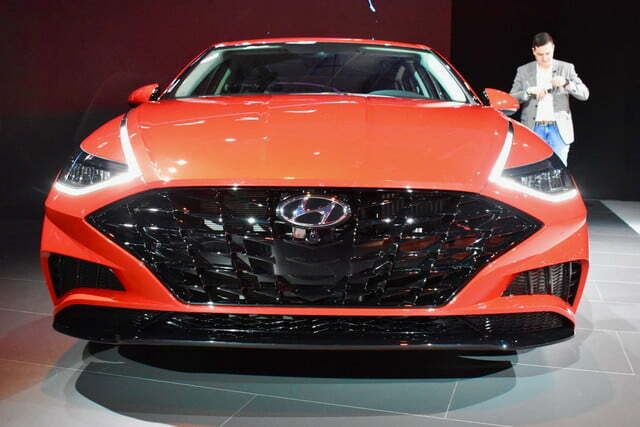 The redesigned Sonata makes its North American debut at the 2019 New York Auto Show, and goes on sale in the United States in October. 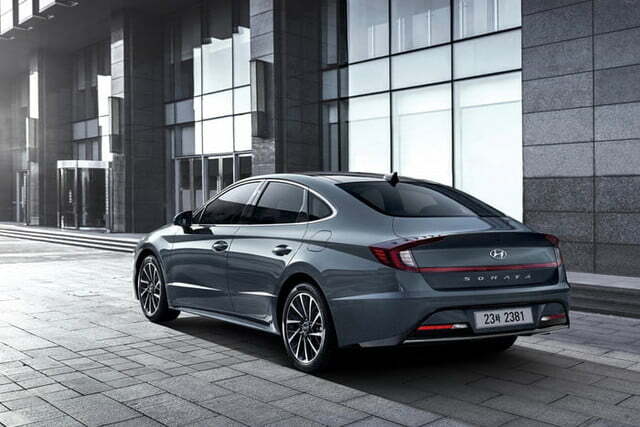 The Sonata is Hyundai’s answer to the Honda Accord and Toyota Camry, and this isn’t the first time Hyundai has tried to set it apart from the crowd with an evocative design. Like most of the Korean automaker’s other products, the Sonata initially emphasized affordability over style. But with the sixth-generation model (sold in the United States from 2010 to 2014), Hyundai took some major styling risks. 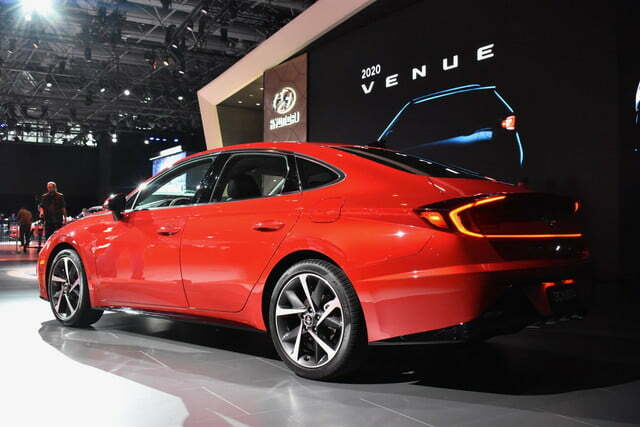 The automaker then went back to a more conventional design for the current, seventh-generation Sonata. Now the pendulum is swinging in the other direction. 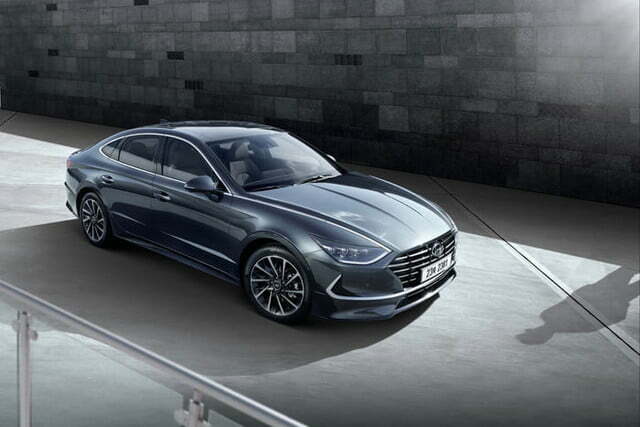 Hyundai says the 2020 Sonata has a “four-door coupe” silhouette, evoking cars like the Audi A7 and Mercedes-Benz CLS. That is why the new Sonata’s roof is lower and sleeker than a conventional sedan’s (which probably has a negative effect on headroom). The 2020 Sonata is also longer, lower, and wider than its predecessor, tweaks that give it much sexier overall proportions. 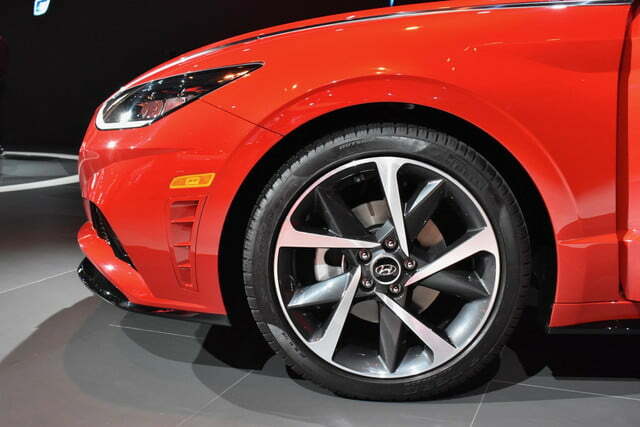 Changing the proportions or chopping the roof are design tricks used across the car industry. 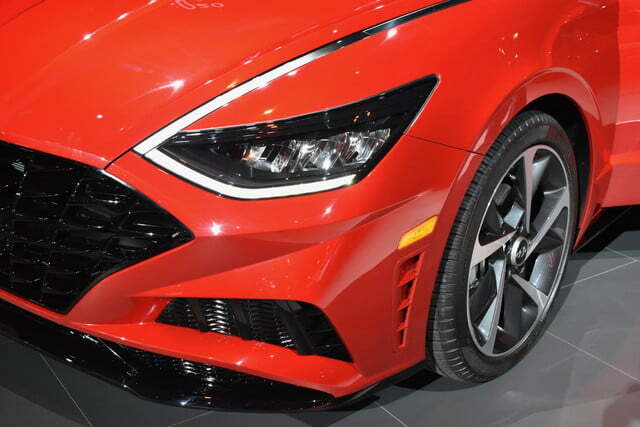 To give the Sonata a truly unique look — day or night — designers added sinuous LED daytime running lights that stretch from the headlights back across the hood. When turned off, they look like regular chrome trim, but when on, they produce streaks of light that look like something out of Tron. It’s likely that not every Sonata trim level will get this feature, but it’s impressive that it made it to production at all. 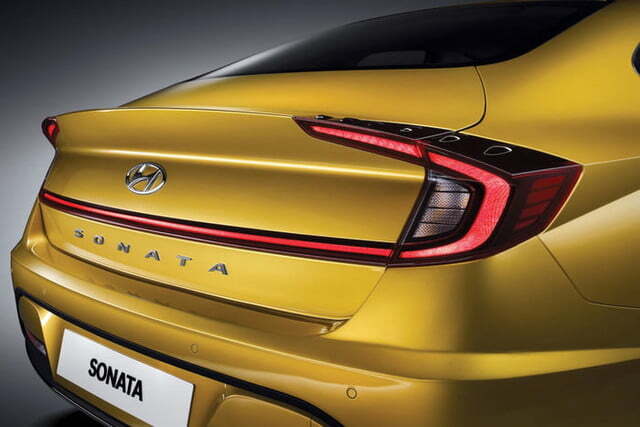 It’s too bad the taillights aren’t as distinctive — they look like they were stolen from a Honda Civic. 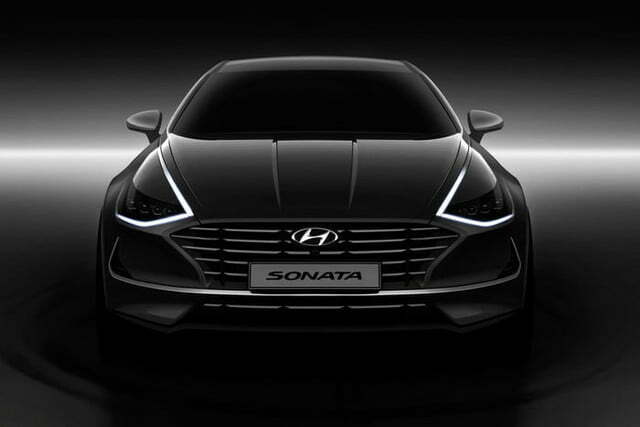 The Sonata will be offered with two four-cylinder engine options. 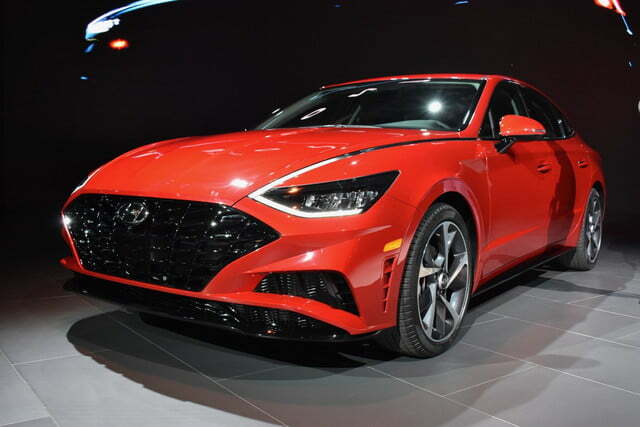 A naturally-aspirated 2.5-liter engine produces 191 horsepower and 181 pound-feet of torque, while a turbocharged 1.6-liter engine makes 180 hp and 195 lb-ft. Hyundai expects the turbo engine to get 31 mpg combined in EPA testing. 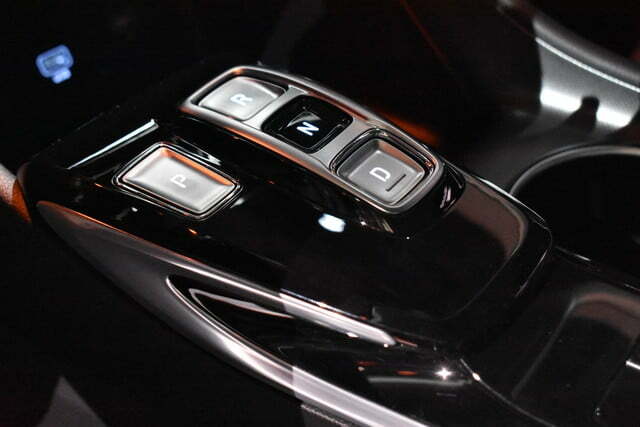 Both engines are coupled to an eight-speed automatic transmission, with front-wheel drive. 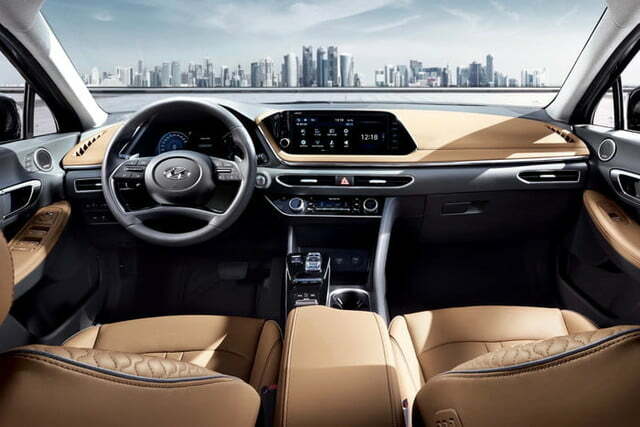 On the tech front, Hyundai will offer a “digital key” feature that allows owners to use a smartphone in place of a traditional key fob, as well as Apple CarPlay/Android Auto, and Qi wireless phone charging. 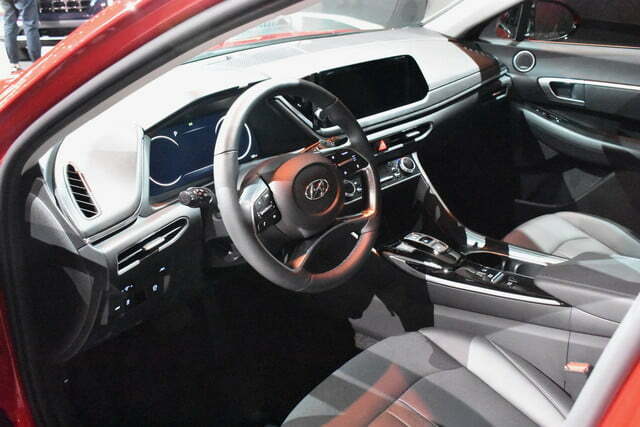 The range-topping Sonata infotainment system includes a 10.25-inch touchscreen and 12.3-inch digital gauge cluster. Despite the market shift toward crossovers and SUVs, many automakers aren’t giving up on sedans just yet. 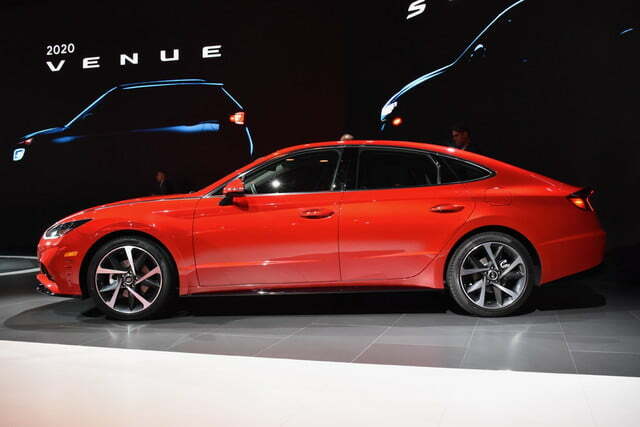 In addition to the 2020 Sonata, updated versions of the Subaru Legacy and Volkswagen Passat will also launch later this year. Sedans remain a sensible choice, as their lower ride heights, lighter curb weights, and more aerodynamic bodies give them an advantage in handling and fuel economy over utility vehicles. 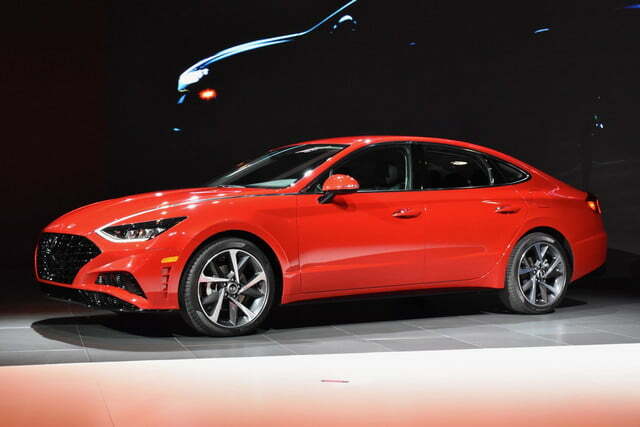 Updated on April 17, 2019: Added live photos, powertrain specifications, tech, details, on-sale date.